The Brown Noddy (Anous stolidus) is a seabird from the tern family. 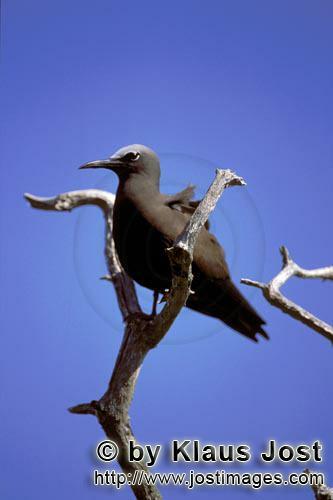 It is larger than the closely related Black Noddy. The Brown Noddy is a tropical seabird with a worldwide distribution, especially ranging from Hawaii to Australia in the Pacific Ocean. The Brown Noddy is colonial, usually nesting on the in elevated situations on cliffs or in short trees or shrubs. It only occasionally nests on the ground. A single egg is laid by the female of a pair each breeding season.